After seeing hundreds of amazing looking roasted veggie bowls on Instagram, I have been craving a good one for the last couple weeks. Well, I finally got to making one this weekend and it was sooo satisfying! Honestly, you can put anything in roast veggie bowls. 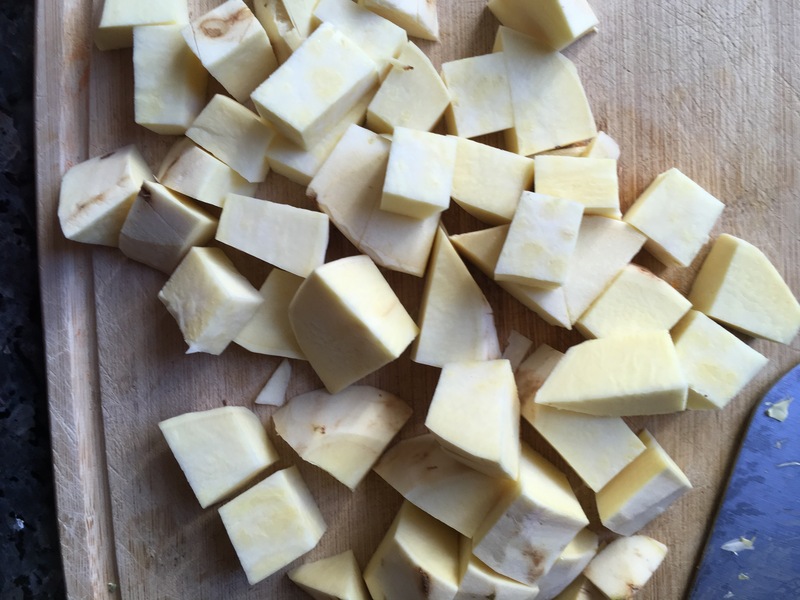 Potatoes, squash, mushrooms, cucumbers, tofu, the possibilities are endless! 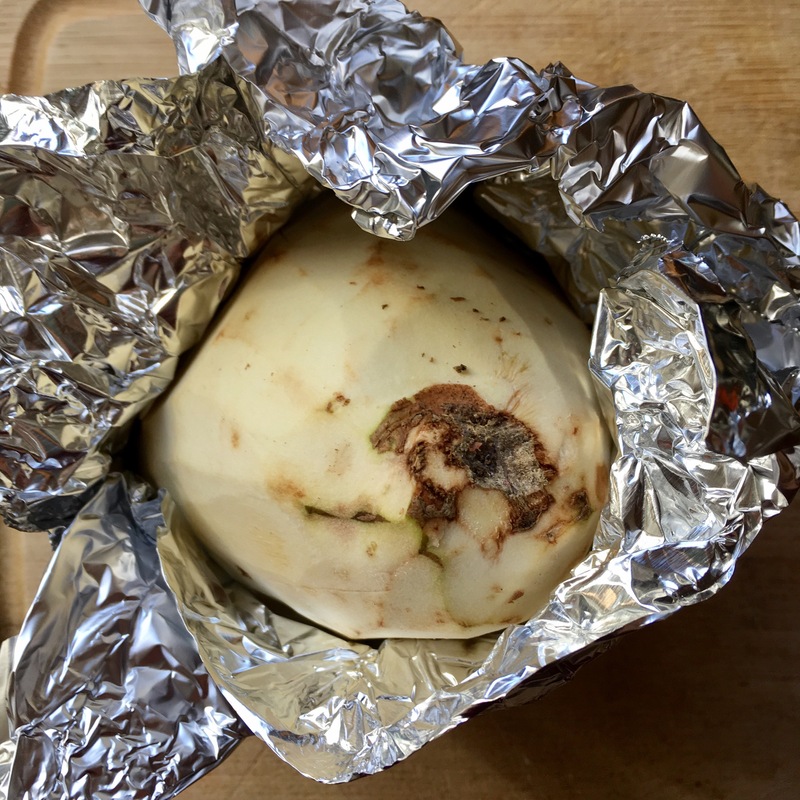 For mine, I put roasted organic sweet potato that I baked in the oven for 35 minutes and 425 degrees. 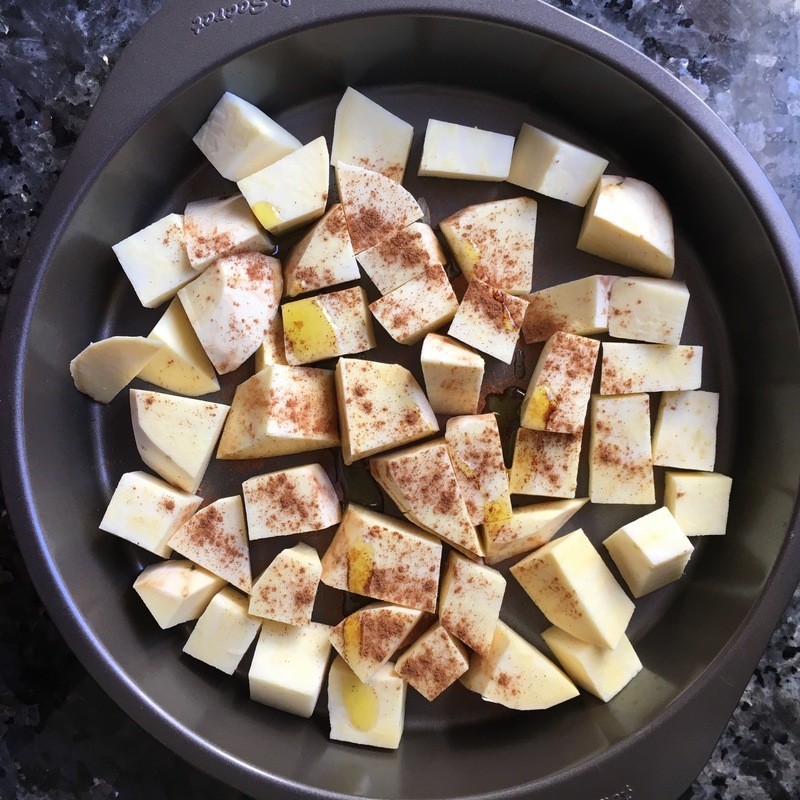 I drizzled some olive oil so that the potatoes would crisp up, and added cinnamon for a boost of added nutrients. Also, I’m not sure what kind of sweet potatoes these are, but they have a slightly milder sweetness than conventional orange sweet potatoes. 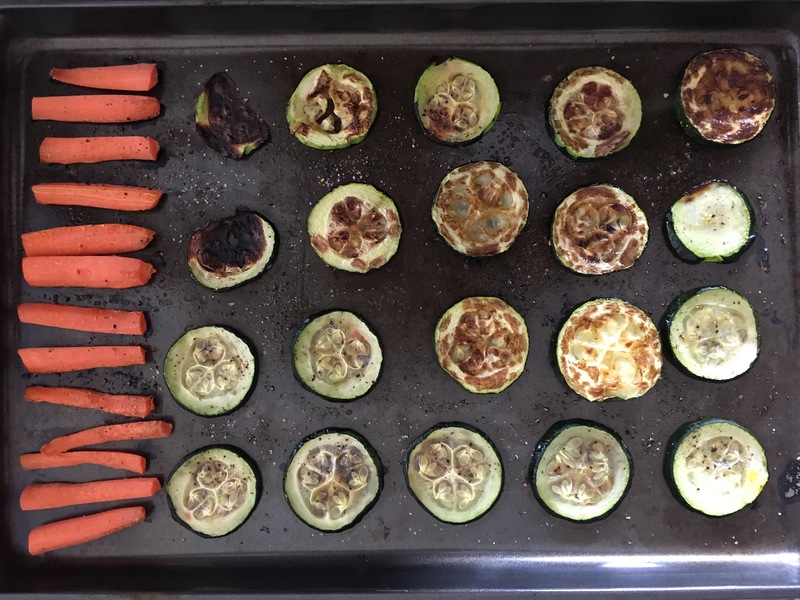 Next, I roasted some zucchini and carrots in s&p for 20 minutes. 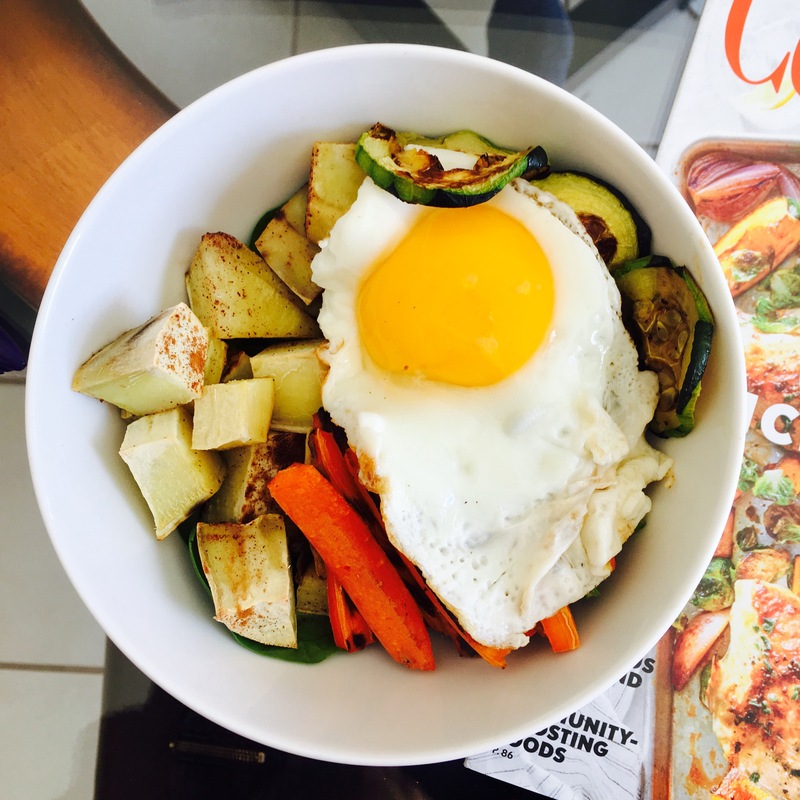 Finally, I added a bed of spinach, the roasted veggies, and a fried egg to the bowl and dug in! This bowl turned out so delicious, especially with the runny yolk from the egg. You definitely need to give it a try cause I’m telling ya it was GOOD. 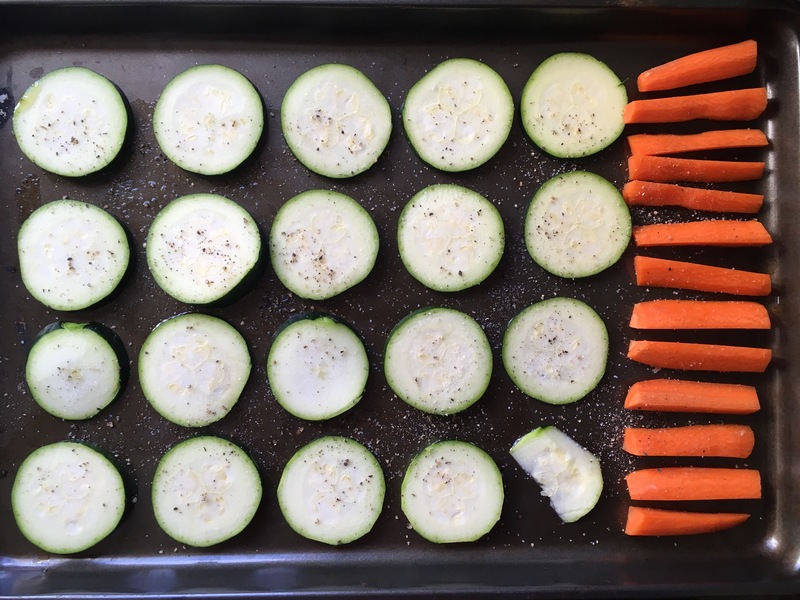 What are your favorite ingredients for roasted veggie bowls? Thanks for swinging by my blog! 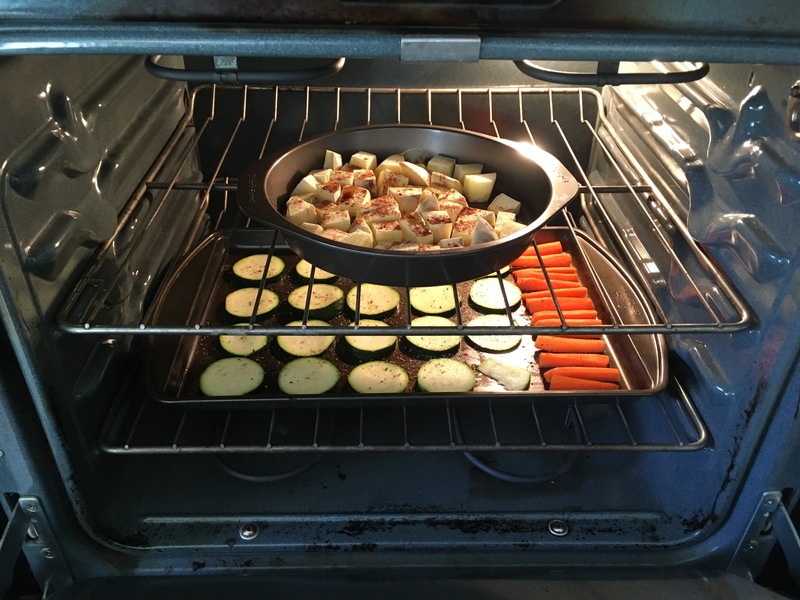 This looks good 😀 I’m always eager to try healthy, pop them in the oven, types of recipes! Thanks Samantha! Hope you try it out! Thank you so much Tamara, it’s such an honor!